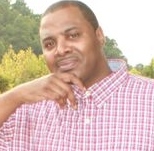 Mark L Baynard overcame his past of crime, drugs, and prison by now making a difference in his community. 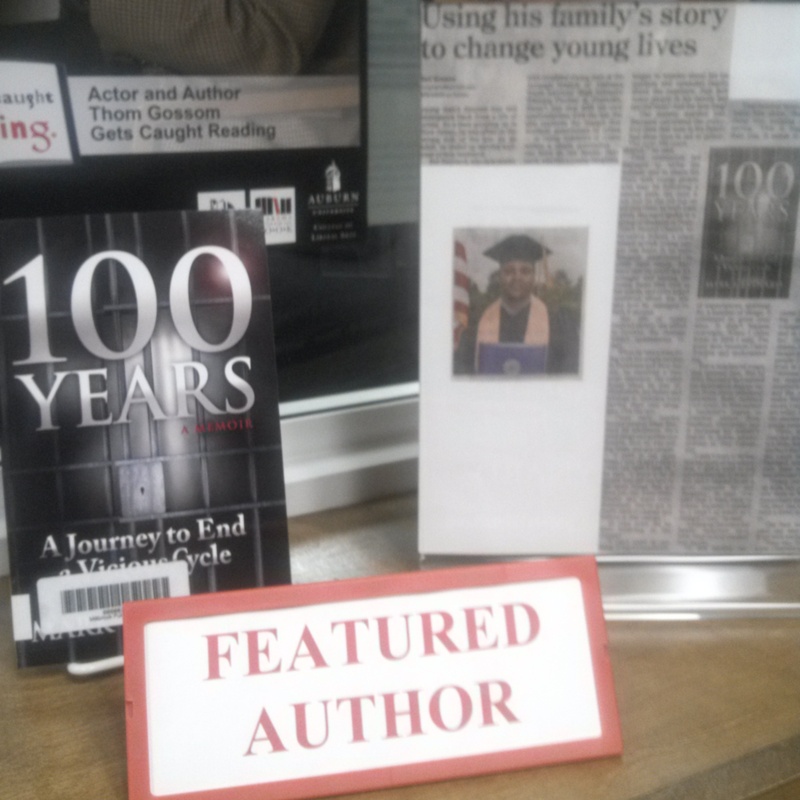 Mark L Baynard is an author, youth advocate, and a true success story. Mark overcame his past of drugs, crime, and prison by now making a difference in his community. Choosing crime and drugs as an answer to poverty and low self-esteem put him in dangerous situations. His life was destined to continue or end in crime, drugs, prison, or an early death. He overcame his past of crime, drugs, and prison by now making a difference in his community. Mark founded “U Can” (Universal Community Advocacy Network) Community Organization, where he works with at-risk youth and has plans to work with adults in the future. 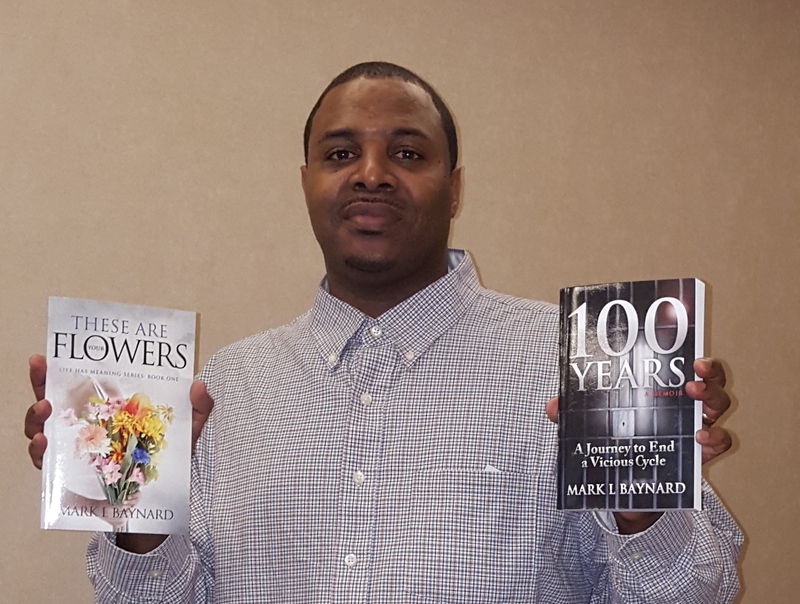 Mark L Baynard is an author, youth advocate, and a true success story. He overcame a past of crime, drugs, and prison by now making a difference in his community. Marks was raised in a Housing Project in Wilmington, Delaware, along with his siblings, by his single Mother. He also visited his dad and other siblings in Alabama each year. His mother was a very hard worker who worked two low-paying jobs to raise her five children. His mother raised him to be respectful to others. During his teenage years, Mark began searching for meaning in his life. Having low self-esteem, he started experimenting with marijuana, alcohol and other drugs. This was just the beginning of more problems to come. Mark eventually started selling drugs and living the lifestyle that goes along with it. Due to the choices that he made, Mark ended up going to prison for drugs. Mark was released from prison after serving a two-year sentence. He returned to selling drugs and making unwise choices. Within a year, Mark was back in prison for drugs. He ended up serving thirteen years before being released. While serving time, Mark started accepting responsibility for his actions and began addressing his personal issues. Once he was released in 2004, he moved to Montgomery, Alabama with family. He eventually met a young lady whom he married. They now share a ten-year-old daughter together. Mark also has a twenty-four-year-old daughter prior to his marriage. Mark decided to further his education by enrolling in Ashford University where he earned his Associates Degree in Early Childhood Education in 2012. He then went on to earn a Bachelor’s Degree in Criminal Justice from Faulkner University in Montgomery, Alabama in 2014. 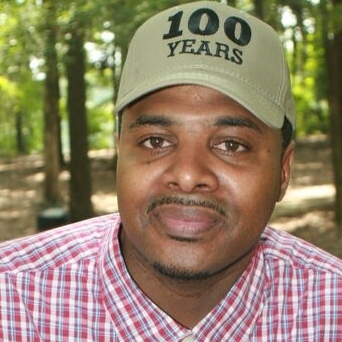 In 2015, Mark released his first book titled “100 Years: A Journey to End a Vicious Cycle.” In his book, Mark shares the true story of how his family “collectively” wasted more than one hundred years in prison. He also shares some of the many challenges that he has overcome after being released from prison. Mark encourages others to join in the journey to end the cycle of crime and prison in the community. 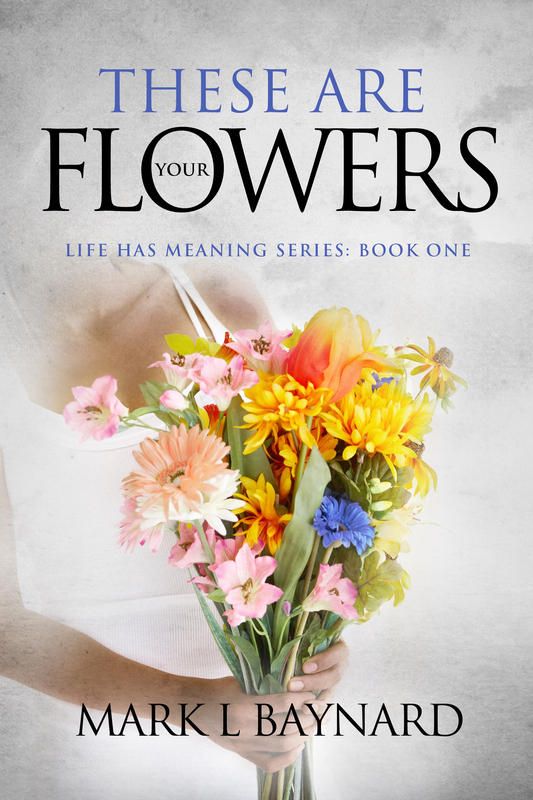 Later that year, Mark released his second book “These Are Your Flowers.” This book highlights the importance of letting our loved ones know how much they mean to us while they are alive. Mark went on to pursue a Master’s Degree in Public Administration at Troy University. He has since transferred to Auburn University at Montgomery in 2015. 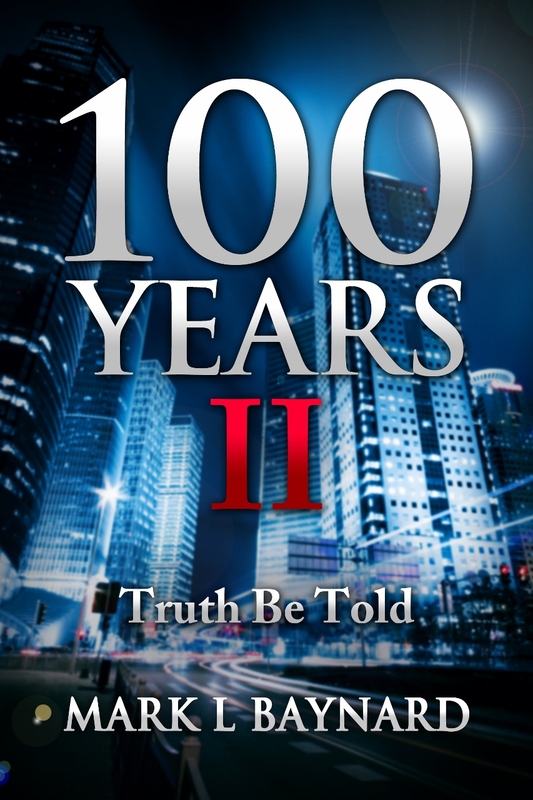 In August of 2016, Mark released the book “100 Years II: Truth Be Told.” In his book, Mark addresses issues such as black-on-black crime, police brutality, as well as the identity crisis of African Americans. All of Mark’s books are available on Amazon https://www.amazon.com/-/e/B00TLXK5L6 In 2017, Mark earned a Master’s Degree in Justice and Public Safety from Auburn University at Montgomery. For more information on Mark L Baynard, go to www.journey100years.com. Also check out my Author Page on Amazon http://www.amazon.com/-/e/B00TLXK5L6. As an author, Mark l Baynard has heard a lot of questions concerning his books or writing experiences. Mark shares three of the frequently asked questions! Question: Where do you get ideas for writing your books? Answer: Mark gets his ideas from personal experiences and his desire to help teenagers from going down the same path. Question: Did you, personally, spend time in prison? How do you think that your book can help other? Answer: Yes, I did spend time in prison on drug convictions. I spent total of fifteen years in prison. I served a two year sentence and then returned and served a thirteen year sentence. I shared about the many challenges which I faced during my teenage years and I believe that others will be able to relate to this. Others will be able to use my story as an example for overcoming difficult situations. Questions: What are your greatest life tips that you can give to others? Answers: Marks greatest life tips are for us to take the time to think through a situation before making a bad decision. Don’t allow anger or frustration to put us in a bad situation. Reaching the Youth Before They Reach Prison! It would be a tragedy for a family to waste one hundred years in prison. Well, that is exactly what Mark’s family did. Mark takes full responsibility for the time that he contributed to this curse. 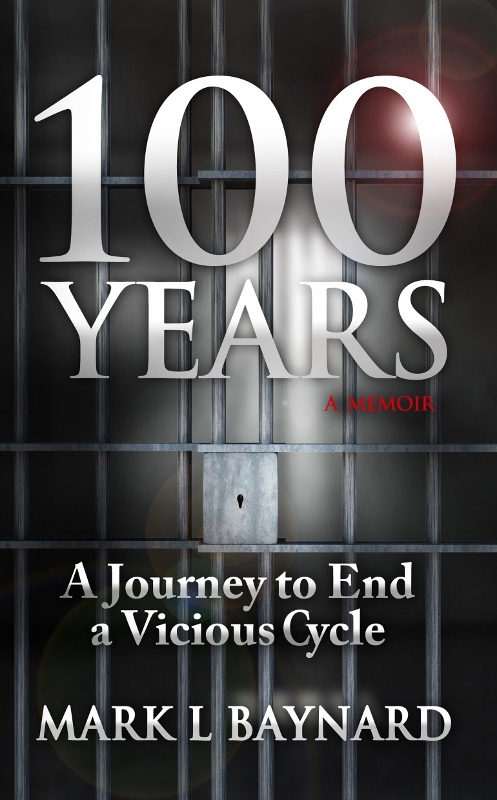 In the book”100 Years: A Journey to End a Vicious Cycle” Mark gives details of how this tragedy happened. Mark is now on a journey to end this vicious cycle. This is a true story of courage, determination and the will to overcome tremendous odds. While growing up in a housing project as a teenager, mark got involved with drugs and the lifestyle that goes with it. This behavior led him to serve an extended prison sentence on drug convictions. While in prison Mark took responsibility for his life and knew that changes must be made. After being released Mark worked hard on improving his life. He moved to the south in search of a fresh start where he met his wife. They now share a beautiful daughter. Mark started working with troubled teenagers and pursued a college education. When he appeared to get his life back together, Mark then realized that there was a curse in his family. Mark’s family collectively wasted more than one hundred years in prison. Mark knew that this cycle must come to an end before that number reaches two hundred years. Mark shares his journey to end the cycle of prison and crime in his family and in the community. This true story is a must read for our youth as well as adults. Mark’s story has the potential to help others who may be in similar situations. 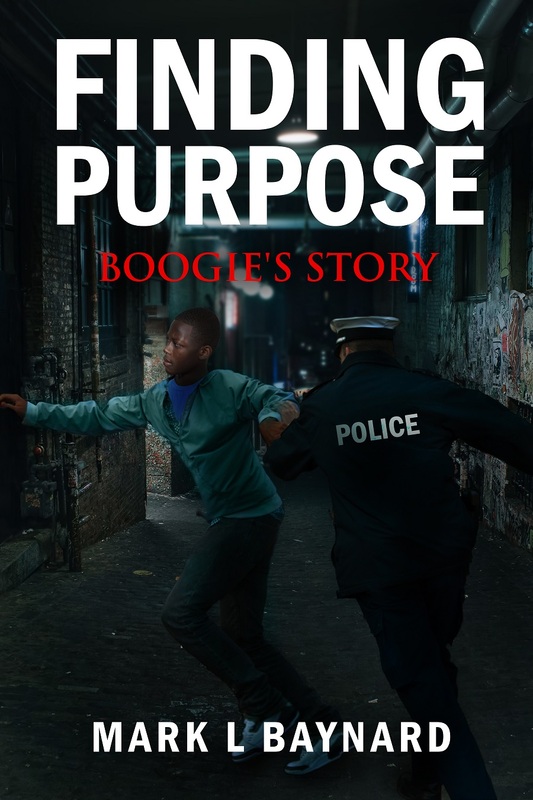 Through his book, Mark hope is to reach the youth before they reach prison! As I looked at my reflection, I quickly began to see my own faults. I was not satisfied with the state of my life, and I believed that I had the power to make it better. I believed that making more responsible decisions would lead to a better outcome. During this process, I realized that it was necessary for me to take a very honest look at who I was, and why I did the things that I did. I began taking a closer look at myself, and identifying the mistakes that I had made. I had wasted a lot of time in prison, and I thought about my other family members who had also been, or currently were, in prison. When I looked at my situation as it related to my family, I immediately saw that there was a pattern. That day, as I stood looking at myself in the mirror, I made the decision to change the bad example I had been setting for others around me. I knew that I could have been a much better role model to my younger brother, as well as to my young cousins. Today was the day I would change. I usually felt a lot of different emotions after leaving the probation office, and often chose to disregard them. This particular day, however, I could not ignore these feelings any longer, and I decided to use them as motivation to remain focused on being free, and leading life as a productive participant in society. I thought about all of my various family members who had been to, or were in, prison: my dad, my younger brother, and many of my cousins. Once home, I got a piece of paper and wrote my name, and everyone else’s names, in a list; beside each name, I marked the time served in prison. I absentmindedly neglected to include several of my uncles, nephews, and other cousins in this list, but when I started tallying up the totals, the number quickly reached one hundred years. For quite a while, I kept this finding to myself, shut away in my heart and mind; I knew the calculations were significant, but I really did not know what to do with this information. The more I thought about it, the more I knew that I had to share my findings with someone. One day while visiting dad at his place of business, I mentioned the numbers. At first, he looked at me as if I was exaggerating, but when I grabbed a piece of paper and showed him the numbers, he agreed and kind of put his head down in disbelief. In that moment, we both understood that we can’t cry over spilled milk, and we can’t change the things that have happened in the past. We also understood, however, the importance of starting the process of necessary change within our family; if we did not initiate such change, this number would only continue to increase. Our conversation was the catalyst for my decision to use the information I had discovered to inform others of my own mistakes, and hopefully motivate my family, and other local individuals, to break the cycle. Initially, writing a book about my findings was not something I considered, but before long, I realized that doing so was very necessary. My past is not something that I am proud of, at all, and looking back at my life can be a difficult thing for me to do. Once my eyes were finally opened to the curse of this vicious cycle, I had a number of different feelings. I consider myself to be a strong person, but I will admit that I felt very weak and helpless during this time; my feelings went from one end of the spectrum to the other, and my heart was full of questions of how and why this destructive cycle was allowed to happen. I felt a sense of disappointment and disgust, and a great deal of guilt for the heavy contributions that I made to this reality. During this phase of self-examination, I began to see how and when my life had begun to take drastic changes for the worse. Looking back, I saw where and how I had started looking at my life differently, and when my dreams and desires had begun to change. I realized I had given up on wanting to be a doctor, lawyer, fire fighter, or a police officer very early in life. I recalled, however, that even though I gave up on certain childhood goals, I had always known, albeit subconsciously, that I did not want to live poor and struggle for the rest of my life. I was reminded of how my mother struggled to raise us, and I did not want to experience that in my own life. I reminisced over my struggle with making money, and of taking unnecessary risks with my own life. As I continued to evaluate the realities of my past, I clearly saw just how these struggles and risks had led me to prison. I wasted a lot of time in the prison system, and now, as I reflected over the events that had taken place in my life, I was able to see how and why I needed to help others realize the consequences of taking the wrong route in life. I spent my teenage years walking around in complete darkness. I did what I wanted to do, without considering the thoughts or feelings of others. I did not take seriously the consequences of my actions, and this behavior eventually led me down a path of destruction. I was bound for a dreadful end, based on the decisions I was in the habit of making. The end result of drugs and street life are prisons, institutions and death, and, for better or worse, I know this more than most. I can remember telling myself, as a young teenage male, that “I could accept responsibility for my wrongs even if they led me to prison,” or that “If I returned to prison, I will serve double digit numbers.” But while I knew that I could handle prison and that I was willing to accept the consequences of my actions, I did not consider the ways in which my poor decisions would affect my family. When we go to prison, we ultimately take our loved ones with us; they will have to make adjustments in order to continue a relationship with us, such as taking the time to visit, or to write letters. As well, there were many younger individuals within the housing projects that I grew up in to whom my actions were regrettably poor examples and influences. Taking time to evaluate the realities of our lives often brings us back to our childhood, that place where life as we know it began. As far back as I can remember, I lived with my dad and step-mother, and stayed with my grandmother, on my dad’s side of the family, on frequent occasions. I have many good memories of staying with my grandmother in the state of Alabama; I remember being around my aunts and uncles and wanting to go to school with them, walking on dirt roads, and just being a kid. My grandmother had an outhouse outside her home; it was a dark and very scary place, and on top of that, it stank! Many years later, I was very happy when my grandmother had a regular bathroom built inside of her house; I knew that I did not want to use another outhouse ever again! When I was five years old, I lived with my dad, my step-mother, my brother, and sister, in Spain. This was my family, and I did not know anything different; I was lucky and happy to be raised by such a nurturing family. Soon after, my dad took me to the state of Delaware on the pretense of visiting other family members. My dad was in the military, and we did a lot of traveling; it was normal for us to travel to different places and visit family and friends. I quickly found out, however, that this trip was not just another vacation, and I could not have anticipated the changes that this trip was going to have on my life. From my earliest memory, I thought that my step-mother was my biological mother. (I am using the nouns of step-mother and biological mother in this memoir for the purpose of differentiation; I greatly appreciate the job they both did in acting as a mother figure in my life, and I hold them both in high esteem.) During the time that I lived with my step-mother, she raised me as her own son, and I have nothing but admiration for her. On this particular day, we arrived in Delaware at a house that I was not familiar with; later I learned that this house belonged to my grandmother on my mother’s side of the family. Everyone was really nice to me, and I received the normal compliments of, “You got so big!” There were a lot of people there that I did not know, but I managed to find other children to play with while the adults conversed throughout the house. Don’t ask me why, but I pointed to the quiet lady. I guess being told that she was my real mother is what made me want to live with her, to get to know her. I do not know why I made the decision I did, or even why I was asked; I was only five-years-old, and these were things that adults handled, not children. I do know, however, that I am very glad that I made the decision that I made. Later, I learned the rest of the story; according to my mother and other relatives, my dad wasn’t happy about the whole situation because he felt that they had taken me from him. He fervently expressed his disagreement to them, but later gave in to my wish. My mother was such a nice lady and later that day we walked several blocks to where she lived. I met my brother and sisters that day, and my mother showed me pictures of us being together before I went to live with my dad. I got along really well with my brother and sisters; I was accepted by them, and we had a lot of fun together. I came to know a very loving and caring woman who put her family before herself, a woman that is my biological mother. She taught me much about life; I learned a lot of good things, and useful information, from my mother, and I watched her exemplify what a good woman really is. She was not perfect, and she faced a number of challenges throughout her life, but throughout it all, she stood strong and worked hard. Many times she put her life on hold in order to take care of her five children. She was a very hard worker and came home tired almost every night, only to wake up the very next day ready to do it all again. I had the same love and respect for my biological mother that I had for my step-mother, and years later, I still have a very good relationship with both of them. It felt good to re-connect with my mother, even though I did not remember her from birth. My brother was one year older than myself, and my mother told my brother to take me with him when he went places. Sometimes he would go to the park to play, sometimes we would go other places together where we would play and have fun. Sometimes, however, he did not want to be with bothered with me, and he would run away and leave me on my own. My older brother remembered when we used to live together previously, and he told me plenty of stories. I enjoyed hearing these stories, and was eager to make a connection with the life that I had before going to live with my dad. We began making new memories each day; my mother was very instrumental in encouraging us to do things together, and with her. I learned nursery school songs, word games (start with a word and continue until you run out of words that rhyme with it), and the name song, where you rhymed your name with other words. My mother was very active in our lives, and she spoke to us about a lot of different things, frequently checking to see that we were alright. My mother was happy to have me back with her, and was hesitant to allow me to visit my dad’s; she feared that he would not send me back after my visit, and declared that she would not allow that to happen. Despite the fact that my dad was initially unhappy concerning the situations that led to me living in Delaware with my mother, he decided to reach out to her in an effort to convince her to allow me to visit him. He said that he would send me back, but my mother denied his requests with a simple “No.” For a few years, he let the issue alone before asking if I could come and stay with him during the summer time, or during the Christmas holidays. My mother remained hesitant, but ultimately, my Uncle Mokeem was very instrumental in convincing my mother to allow me to visit my dad. He vowed to my mother that he would ensure my safe return to her if she would allow me to visit my dad’s; my uncle saw the importance of maintaining a relationship with both my parents. My Uncle Mokeem is my dad’s brother, and he drove me down to Alabama to visit my dad and other family from the south. I enjoyed living with my mom, but I really did want to see my dad again; I had a lot of good memories of when I lived with my dad, even if he was a very strict disciplinarian. I always got in trouble whenever he got home from work; once he even punished me for having difficulty learning how to spell my last name. But I still wanted to see him. My dad lived in Montgomery, Alabama, the capitol city. At the time, I did not realize or appreciate the rich history that existed or the significant role Montgomery played in the Civil Rights Movement. During the 1960s, the famous year-long bus boycott took place, Martin Luther King, Jr., pastored one of the local churches, and it was the destination of the famous march from Selma. During the 1970s, there was a low key element of criminal activity. When we started our drive south, I attempted to stay awake as long as I could but soon fell asleep. It seemed to take forever; I must have asked my uncle countless times, “Are we there yet?” Every time he stopped for gas, I woke up thinking that we had gotten to Alabama. When we finally arrived at my dad’s house I was embraced and accepted by everyone, and I was just as excited to see them as they were to see me. My dad took me to visit a lot of other family members who lived nearby. Some of them I did not remember, and often I would be asked the question, “Do you remember so-and-so?” I was reunited with my brother and sisters on my dad’s side of my family, and we had a lot to talk about and many things to catch up on. My step-mother appeared to be very happy to see me also, and my dad gave her the money to take me shopping for clothes. During this visit and the ones that followed, my dad took me to my grandmother’s house out in the country. There were a lot of dirt roads near her house, and she had chickens and hogs, and grew vegetables. My grandmother, as well as my aunts and uncles, always maintained an old school approach to life and a belief in the implementation of “tough love.” Any of the adults were responsible for, and could discipline, any of the children. I always learned a lot of good things from my grandmother, even though I was not able to internalize some of those lessons until later in life. Many years later, while sitting in prison, some of her lessons and messages would randomly come to mind, and the truth of her wisdom always hit home. My grandmother’s words have inspired me to become a better individual. I learned to make do with the things I have. An example of how they made do is a “black and white” picture of me. The picture is of me standing in front of a sheet that was hanging on a clothes line and used for the purpose of a background. I was around four or five years old at the time, but the picture came out badly because of the funny look on my face; I am very glad that it is not shown in this book! While I really enjoyed being able to visit my dad and the rest of my family in the south, the time to return home came pretty quickly and I left again with my uncle. It felt sad to leave, and I may have shed a tear or two when it was time to go. After my safe return to Delaware, my mother was confident that my dad would send me back whenever I went to visit him, and it soon became normal for me to visit my dad each year. On one of my visits, I discovered the truth behind his lifestyle: my dad was involved in the drug trade. While I didn’t know the extent to which he was involved, I chose to disregard the severity of this truth. My dad was probably my first real-life hero, and I held him in very high esteem. In a way, I wanted to be like him and possess the strengths that I noticed he had. I was impressed with how strong he was as an individual, and by the fact that he did not take any mess from anyone. Despite the lifestyle that I now know he lived, he didn’t openly promote any of the negative behavior associated with such activities to his children. His method of teaching probably came from the idea, “Do what I say and not what I do.” My dad did his best not to expose his children to the life which he lived, but seeing as I was a very inquisitive child, I quickly began to notice certain things. My life started out pretty good, but eventually it began to take a gradual slide backward toward the dark side. As I entered my teenage years, I began making my own decisions, some of which were not good. I initially had a good perspective of life, and I was considered a smart child; soon, however, I began to decline in my academics and teachers started sending home notes about the fact that I was having difficulty paying attention in class. I became involved in delinquent behavior instead of working hard at a job or other productive project. I slowly began to transition from a smart young boy into a lazy, irresponsible young adult. It can sometimes take only a minute to get into trouble and a lifetime to get out of trouble and I fell into a habit of finding those crucial moments. Within a mere couple years, I unknowingly followed dad down the wrong path. I developed a sense of low self-esteem, and I did not feel good about myself at all. I had no idea of who I was, as a person, or what I wanted to do in life. Despite the goodness around me, I felt very empty deep inside my heart. This emptiness begged me to find something, anything, to fill that void.